Used by more than 4,000 companies in more than 50 countries, Adaptive Insights enterprise performance management software accelerates budgeting, planning, forecasting, and reporting by up to 70% across geographies, locations, divisions, business units, and subsidiaries at some of the world’s largest enterprises. Everybody plans. However, in large enterprises, not everyone is always on the same page when it comes to planning collaboratively and continuously using a shared enterprise performance management system. That's because complex, expensive, and difficult to use legacy EPM systems remain the domain of power users in finance rather than used across the organization. We believe successful organizations deserve a solution that is easy, powerful, and fast so that everyone can plan effectively as a team. Adaptive Insights, supports sophisticated business planning and modeling at the world's largest enterprises, where it scales to support thousands of users across departments. Completely cloud-based, our software makes it simple to support business users across departments, business units, branches, and plants. It's the ideal true-cloud alternative to traditional and expensive on-premises solutions like Oracle Hyperion, SAP BPC, and IBM Cognos. Traditional on-premises planning and reporting solutions are complicated, hard to implement and even tougher to maintain. The result? Spiraling IT consulting costs, unrealized project benefits, and a lack of agility. People secretly use Excel for most of their planning and analysis tasks; only using the corporate EPM system to upload their final numbers at the end of the month or quarter. They keep "the real numbers" to themselves, and the rest of the organization is left in the dark. Our cloud-based solution delivers enterprise-class performance and security—and can usually be configured in weeks rather than months. Our total cost of ownership (TCO) is a fraction of traditional on-premises enterprise solutions. Adaptive Insights doesn't require the same dependency and burden on IT like many other enterprise systems. It's click-not-code approach to integration and modeling gives business users the power and flexibility to model anything they need. Find out how we can help your enterprise plan, report, and analyze better. Analysts and Customers Agree: They Love Us! Analysts like Gartner and Forrester rate Adaptive Insights No. 1 in ease of use and satisfaction because our intuitive user experience and reporting accelerates user adoption. Business and operational managers assume greater ownership of their numbers and have deeper visibility into their KPIs, while FP&A teams benefit from enhanced self-service reporting, modeling, and dashboards that reduces their reliance on IT. 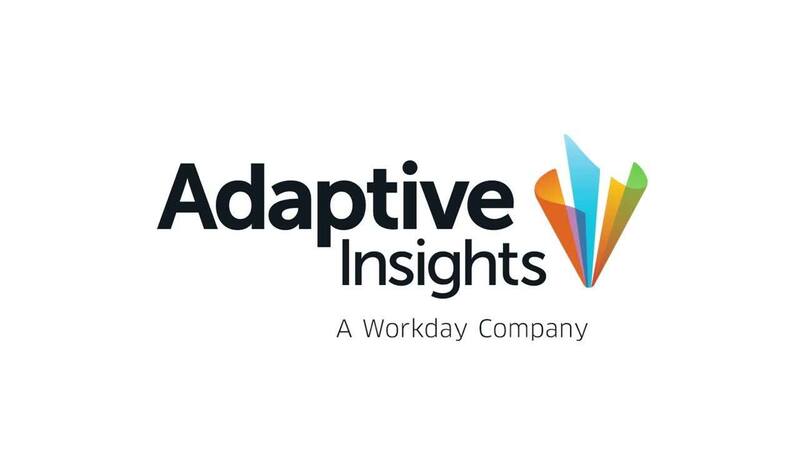 Adaptive Insights integrates with enterprise-class ERP, CRM, and HCM applications such as Oracle, PeopleSoft, SAP, Salesforce, Workday, and more. We also integrate with financial consolidation software like Oracle HFM, as well as BI, data warehouses and other custom legacy applications. Business-managed integrations let you set up manual and scheduled integrations—even export Adaptive Insights data back into your ERP system, CRM, or data warehouse. The tight integration ensures that you'll always work with the latest data in your models and reports. From corporate finance through operating departments to business units, Adaptive Insights enables groups to plan their own domains. Individual plans come together into a holistic, fully linked corporate plan. What’s more, each planning domain can have its own comprehensive model based on the planning cadence of their part of the business. This architecture of federated planning domains mirrors the organizational structure of complex enterprises, aligning well to how organizations manage data access and control. Federated planning domains enable corporate finance to orchestrate planning and performance at the local and enterprise level. This empowers departments and business units to model, plan, and report at levels specific to their need. Built on an in-memory computing platform designed for large scale multi-dimensional modeling, the Adaptive Insights Business Planning Cloud scales to tackle complex calculations and problems quickly. We enable sophisticated planning and analytics around many important business dimensions (e.g. segment, customer, channel, product line, regions, sales rep etc. ), by day, week or any time period you choose to model. The platform also supports what-if analyses to evaluate opportunities and the impact of potential decisions for the enterprise. Adaptive Insights provides enterprise-class protection, service, and resiliency you can rely on and trust. Adaptive Insights is SOC 2, Type II compliant and certified, which is obtained via third-party security audits. SOC 2 is the AICPA standard for reporting on controls at service organizations, including Software-as-a-Service providers (SaaS). We maintain an exhaustive security program aimed at securing and maintaining the integrity of our customer’s data via physical and logical security and data encryption. Our security program covers both the technology platform itself as well as how we develop, test, and deploy software. Learn more about our security programs. Have a specific question about how we've helped enterprises, or what teams achieved because of Adaptive Insights? We'd love to show you.